The Hotel St. Thomas Inn provides rooms at pocket-friendly prices. The rooms have a beautiful decor that is accentuated with the wise use of knick-knacks like a bedside lamp and a quirky wooden stool. The windows are quite large and are provided with grills. This allows the guests to enjoy fresh sunlight and air. The aisles between the rooms are quite wide and have been decorated with paintings. 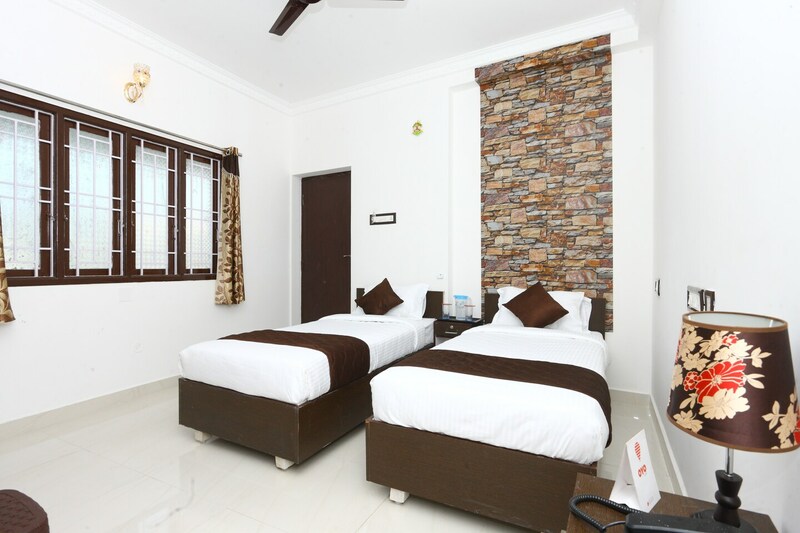 The additional features provided by the hotel are CCTV cameras, a constant power backup source, card payments and free Wi-Fi. The reception has been decorated well and the front desk service is managed by skilled staff.